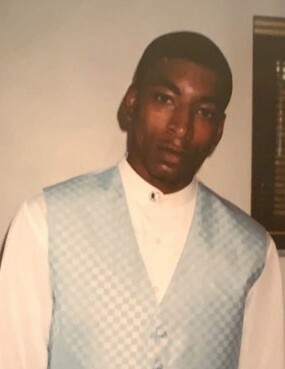 Obituary for Calvin Ledbetter | House of Law, Inc.
Calvin Gregory Ledbetter, affectionately known as “Boo”, was born on September 17, 1985 in Pittsburgh, Pennsylvania to Terri Ledbetter and Calvin Henderson. When you say it takes a village to raise a child, it does. Our village included his grandparents Spencer and Hattie (deceased) as well as his aunts Traci, Toni (deceased) and uncle Trevor. Boo was the middle child born of three children to his mother. People were confusing the T’s, so to keep them straight, it was “Tee and Boo”- the dynamic duo. Then came Tay. She was their sidekick. Together, they became the “Terri’fic trio”! Not sure about leaping any buildings, but they supported each other in their own way. Boo was an intelligent young man and could do anything he set his mind to. He attended Fort Pitt Elementary, Arsenal Middle and Peabody High School. He obtained his GED passing with flying colors; his test scores excelled above average. Starting in middle school, he attended the NFTE entrepreneurship program and was awarded a certificate for the best business concept. In later years, “Boo” did not let his circumstances stop his progress. He obtained his certificate of completion for Introduction to Masonry from the Trade Institute of Pittsburgh. He also obtained his certificate of completion in Refrigerant Transition and Recovery from Ferris State University. Carpentry was his next endeavor and he excelled at that also. One would think an electrical certificate would be in his list of accomplishments since he would have been following in the footsteps of his grandfather who was a well respected electrician in Pittsburgh. We are sure he would have got around to it; however, we are proud of the accomplishments he made. Calvin, “Boo” was proceeded in death by siblings Corey Freeman and Tiffany Franklin. He leaves to cherish his memory: his mother Terri Ledbetter, his father Calvin Henderson, siblings Rob Washington (Robin), Te’Airra Ledbetter (William), Tayshawn Ledbetter. His three nieces Ebony Dwyer, Kennedi Franklin, Taylinn Ledbetter, nephew William Reynolds, V. and girlfriend Desirae. As well as a host of other family members and friends.